Beech Grove, IN. (April 17, 2019) IBG — The IndyStar Sports Awards recognizes and honors the top athletic accomplishments in Indiana high school sports. This event will take place May 5, 2019 at Clowes Memorial Hall of Butler University. The show features various awards, contests and a Q&A with celebrity guest, Danica Patrick. Here are the nominees for our premier awards. Nominated athletes/teams/coaches will receive complimentary tickets. 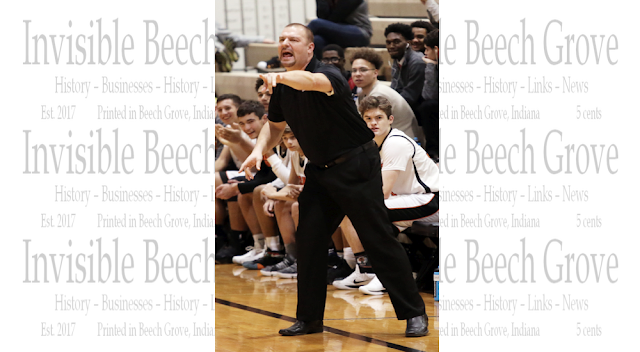 Mike Renfro, Beech Grove boys basketball: Renfro took over the day-to-day operations of the Beech Grove basketball program as the health of head coach Matt English declined. English died in December after a third battle with brain cancer at the age of 45. The Hornets won their first sectional title since 2008 . Kyle Ralph, New Palestine football: The Dragons have won 54 consecutive regular season games and won a 2018 Class 5A title with a 14-0 campaign. New Palestine averaged 56 points per game and allowed 9 points per game and capped the season with a 28-14 win over Decatur Central. Kathie Layden, Northwestern girls basketball: Layden led the Tigers to a second consecutive Class 3A state title to cap a 27-3 season. It marks Layden’s fifth state title – her second with Northwestern in addition to three consecutive titles she won with Tri-Central from 2003-2005. Indianapolis, IN (April 17, 2019) IBG — State Senator Ron Alting is not giving up on funding for the Hoosier State Rail Line. That's the Amtrak rail line that connects Indianapolis to Chicago, and runs through Lafayette and Rensselaer. As previously reported, it first became evident that the line might lose its funding back in February of this year, and Amtrak suspended the ticket sales for the line earlier this month. Funding for the line has not been included throughout the entire process of getting the state budget through the statehouse. He said that is why he was asked not to propose his amendment yesterday, which was the deadline to make changes to the state budget. However, Senator Alting and other legislators, like Representatives Campbell, Klinker, and Negele, are still fighting to get $6 million into the budget for it. "Persistence is the key on any legislation, on getting something done," said Senator Alting. "You just have to be persistent, persistent, persistent and that's what we are doing." He added that he is grateful for the support and collaboration of his fellow legislators from this area. Senator Alting spoke at the Indiana Passenger and Rail Alliance rally at the statehouse on Wednesday afternoon. Representatives Campbell and Klinker also attended the rally to show support. He hopes the rally will show the importance of the passenger rail line to his fellow legislators. Especially considering the number of his constituents who utilize the line regularly. "It's a necessity in Tippecanoe County," he said. "We have a variety of people who ride it. Students going home to visit their families, which is a quality of life issue, we have economic development people that ride it to go to various meetings in Chicago and elsewhere, we have families who travel to Chicago for fun." The lack of funding for the Hoosier State line will also relocate the jobs of 500 Hoosiers who work at an Amtrak maintenance facility in Beech Grove to other states in the Midwest that are investing in rail transportation. Speakers at the event included state Sen. Ron Alting (R-Lafayette), and state representatives Sharon Negele (R-Attica), Chris Campbell (D-West Lafayette), Sheila Klinker (D-Lafayette) and Cindy Kirchhofer (R-Beech Grove), along with Beech Grove Mayor Dennis Buckley. Beech Grove, IN. (April 9, 2019) IBG — Beech Grove-based Bollywood Beats organised 2019 JASHN. 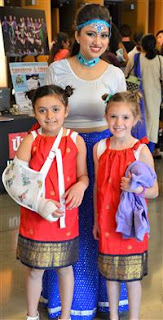 It was an annual showcase of extravagant dances and foot tapping music which kept the packed IUPUI Campus Center Theater here spell-bound. The spectators continuously clapped, cheered for every spectacular moves executed by the performers. Attired in their best costumes the performers gave a dazzling display. They won the hearts of those who thronged the venue to witness the show. The program commenced with 'Pancha Bhuta' enthralling dance that can be perceived by all five senses -- hearing, touch, sight, taste and smell. Synergy performance was a scintillating combination of Raas Garba and Bollywood dance by synergy dance company of Wishes Dance Studio. It was choreographed by Bollywood Beats. Emily Bickel, Rachel Guest, Shea Koley, Lauren Smith and Sydney Suter were the elegant performers. Valor--journey of the Real Heroes --depicted the life of a soldier filled with perseverance, courage, dedication, sacrifice, happiness and love. The enactment of the popular Hindi film 'Border' scene was appreciated and loved by the spectators the most. Bollywood Tussaud introduced the spectators Who is Who of Bollywood, showcasing their moves on foot tapping numbers. All performers, led by founder of the Bollywood Beats Jenny Bhupatkar Chakrabarti, assembled at the stage to thank the spectators for making the show a grand success. Bollywood Beats is a registered student organization at IUPUI. 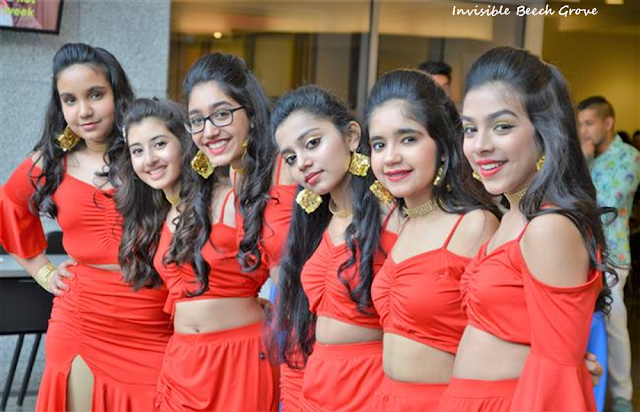 The pride of Bollywood Beats is it's professional dance troupe that performs at private, professional and charity events in Indiana and Illinois. The troupe members are trained, skilled and talented dancers that present engergetic, lively performances and stage shows. Jenny, Prerna, Aayushi, Arathi, Deepak, Sanket, Priya, Sonali, Shruti, Vinny, Sarthak, Vedant, Ayesha, Yashi, Kamala, Dipali, Ebin, Raj, Gautami, Niharika, Rachana, Varsha, Aakansha and Lorissa are members of this fabulous troupe. Bollywood Beats Academy performers were Kavya Sheth, Anisha Anand, Samreen Khandker, Jasmine Singh, Matangi Joshi, Anusha Guda, Danielle Lewis, Simran Brar, Meredith Shelton, Supriya Singh, Ravinder Singh, Shweta Rao, Meghna Naik, Samantha Vidal, Lakshi Nithin, Taylor Higgins, Usha Subramanian, Riyal Patel, Carina Oza, Shriya Jain, Ananya Munjaal, Khushi Shah and Sayee Shinde. Jenny Bhupatkar Chakrabarti also applauded the sponsors of the show. Tandoor and Tikka was the diamond sponsor while gold sponsors were Excel Insurance, Shaloo Munjaal (Berkshire Hathaway, Real Estate and Hoosier Pediatric Dengal Group. Indy Tax Services, Super Salon and Day Spa and Signarama were silver sponsors. Lakshya Arora (New your Life Insurance) and David Cronnin (Remax Real Estate) were the donors. Jenny also thanked IUPUI and the Campus Center Staff for their assistance and cooperation during the shows. Two little girls -- Olivia and Elly -- were impressed with the colorful dresses and amazing display by the performers. "Jenny Bhupatkar Chakrabarti Bollywood Beats Annual Performance JASHN just gets better year after year and leaves audience with awe. Your creativity, visuals, costumes and choreography was simply amazing in all of the acts. It is hard to pick one favorite whether it was the story of soldiers of courage, rigor, teamwork and service or Bollywood museum of Tussade with medley of melodious popular numbers or dance representation of five elements," wrote Ruppal Thaker Thanawala on Facebook. "With a billiant dancer and visionary idea as her calling, Jenny Bhupatkar Chakrabarti, the Founder and guiding force behind the Bollywood Beats, got to work to share her talents with Indiana. 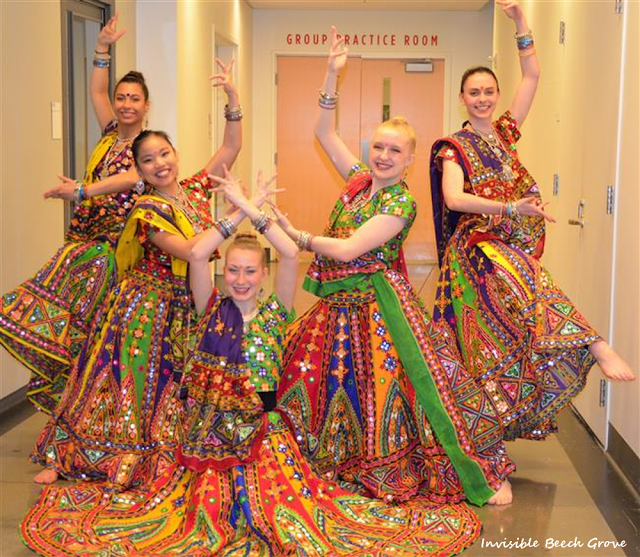 The 2019 JASHN lived up to the billing on the Program Cover: "Spectacular performance by Bollywood Beats and their Extravagant Dances, Foot Tapping (rocking) Music" at the IUPUI Campus Center Theater in Indianapolis on Saturday afternoon......," commented noted artist and community leader KP Singh. Beech Grove, IN. (April 8, 2019) IBG — Amtrak on Monday issued an official notice that it plans to suspend operation of the Hoosier State line, which provides Indianapolis-to-Chicago service, starting July 1. Indiana’s contract to provide funding for the line ends June 30, and new public financing hasn’t been proposed at the Statehouse. The passenger line was not included in budget proposals from Gov. Eric Holcomb or the Indiana House GOP. The Senate releases its budget plan Thursday. 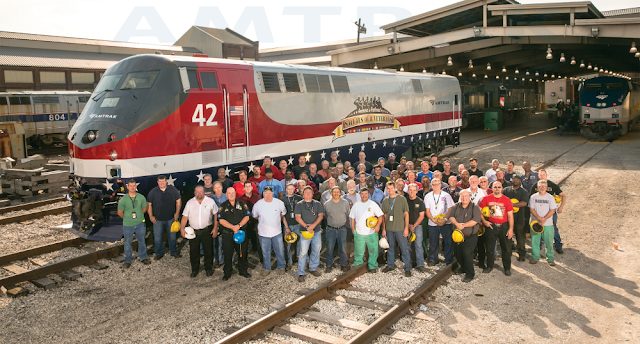 Beech Grove employees with the Amtrak Veterans Locomotive, 2013. Photo: Chuck Gomez for Amtrak. The Hoosier State runs to and from Chicago four days a week. It receives $3 million annually in subsidies from the state under the current two-year budget, plus a combined $500,000 annually from five local communities along the route: Crawfordsville, Lafayette, West Lafayette, Tippecanoe County and Rensselaer. Tickets for service after June 30 are no longer being sold, Amtrak said. Amtrak spokesman Marc Magliari said about 500 people who have already purchased tickets for rides scheduled after June 30 will be compensated with tickets on Amtrak’s Cardinal line, which runs from Indianapolis to Chicago on Mondays, Thursdays and Saturdays. The Hoosier State line runs Sundays, Tuesdays, Wednesdays and Fridays. "This service only exists because of the state contract," Magliari said. “We can’t in good conscience continue to sell tickets without a contract in place.” Magliari said the line could only be saved if the state approves a new funding plan for the next two-year budget. The Indiana Passenger Rail Alliance, which supports the Hoosier State route, issued a statement Monday denouncing the lack of funding. “The end of daily rail service to Chicago now appears imminent,” the group said in a written statement. “We are extremely disappointed in Gov. Holcomb’s decision to defund this Amtrak service, IPRA President Steve Coxhead said. The Hoosier State is one of Amtrak’s 29 state-supported routes around the country. Indiana began subsidizing the Hoosier State in 2013, after Congress ended federal funding for Amtrak passenger routes shorter than 750 miles. The line’s ridership is the smallest of Amtrak’s state-supported routes, and its ridership has declined over the past five years. During Amtrak’s 2014 fiscal year, which began in October 2013, the Hoosier State carried 33,930 passengers. That number dropped to 27,876 in the 2018 fiscal year, which ended Sept. 30. Ridership was up 4.3 percent during the first three months of the current fiscal year (July-September). For the 2018 fiscal year, gross ticket revenue totaled $902,000. Low ridership numbers mean government support subsidizes about 75 percent of the cost of each Hoosier State ticket sold, Indiana Department of Transportation spokesman Scott Manning told IBJ in February. Put another way: For every ticket sold, Amtrak receives $32.85 from passengers (including train fare and on-train food and beverage sales) and $100.89 in state and local funding. Ridership has been holding fairly steady as of late, according to Magliari, with 11,059 riders from October to February, compared with 11,085 in the same period a year ago. Hoosier State supporters say losing the line would have ramifications. 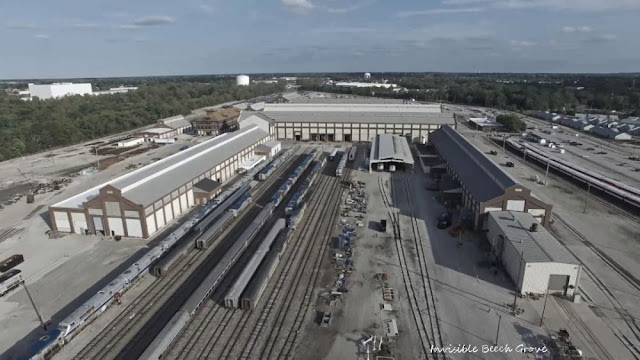 The reduced frequency of passenger service between Indianapolis and Chicago would also hurt operations at Amtrak’s Beech Grove heavy maintenance facility, which employs about 500 people. The facility is one of three such operations in Amtrak’s system, and it does work for Amtrak and other rail companies. If service drops to three days a week, Magliari said, the Beech Grove facility would lose flexibility to ship equipment back and forth on the line. Magliari said Amtrak also supports about $80 million in payroll and procurement in Indiana that could be reduced if the line disappears. Beech Grove, IN. 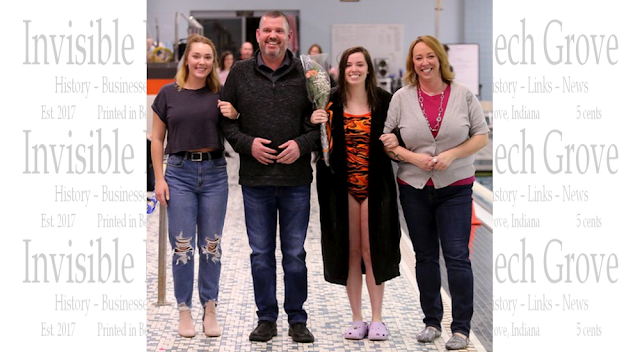 (April 6, 2019) IBG — Emily Leak of Beech Grove High School is among 13 senior student-athletes who will receive C. Eugene Cato Memorial scholarship awards next month. The awards, announced by the Indiana High School Athletic Association, honor seniors for being role models and demonstrating excellence in academics, school and community involvement and character, sportsmanship and citizenship. Each senior will receive a $2,500 scholarship and be recognized May 10 at the Crane Bay event center in downtown Indianapolis as part of the Thomas A. Brady sports achievement awards established by Methodist Sports Medicine. Leak was involved with the high school’s student leadership team that promoted Beech Grove’s Riley Children’s Hospital dance marathon and Special Olympics through Champions Together. She also helped organize a blood draw at BGHS. She also serves as president of BGHS’ senior class, student leadership team, National Honors Society and Spanish Honor Society. Leak has lettered 10 times by playing volleyball for two years, swimming for four years and track and field for four years. She has a 3.987 GPA. The memorial scholarship awards are sponsored by Methodist Sports Medicine, Indiana Farm Bureau Insurance, Indianapolis Colts, Indiana Fever, Indiana Pacers, Sport Graphics, Inc., and WTHR‐13 in partnership with the IHSAA and IHSAA Foundation. The scholarship program is named in tribute to the late IHSAA commissioner C. Eugene Cato who led the IHSAA from 1983 to 1995 and served as assistant commissioner from 1976 to 1983. Beech Grove, IN. 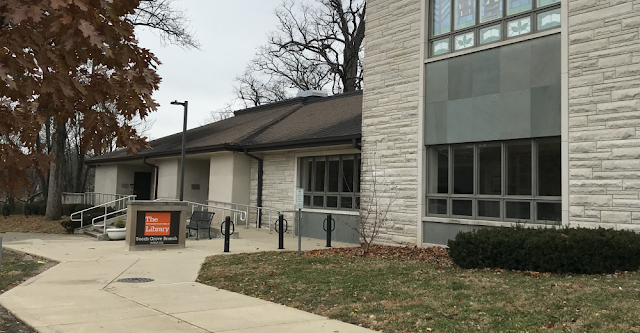 (April 4, 2019) IBG — A larger children’s area, increased patron seating, and creation of a single entrance point are among the features of the newly-renovated Beech Grove Branch of The Indianapolis Public Library, 1102 Main Street in Beech Grove, Indiana. The $151,000 project involved adding space to the children’s area by reallocating under-utilized staff rooms and moving the Library’s interior entrance closer to the entrance to the building most used by patrons. It results in a single welcoming and monitoring point for the information and circulation desk. 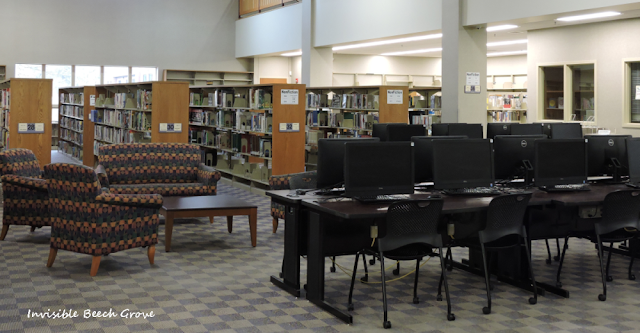 Not counting public computer areas, seating within the branch is expanding from 48 to 66 seats. Power outlets for personal devices have been added to study tables. New digital signage will inform patrons about upcoming Library activities. Shelving has been reorganized and shelving heights have been lowered to increase the openness of the 33,000-square-foot facility. To learn more about the Beech Grove Branch and its programs and services, call 317-275-4560 or visit indypl.org/locations/beech-grove. Beech Grove, IN. 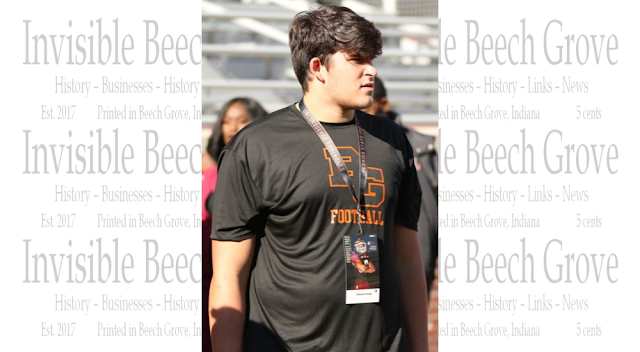 (April 1, 2019) IBG — Offensive lineman Josh Fryar was one of 247Sports' top five offensive performers at Sunday's Opening Regional in Ohio. Fryar, a center by trade, kicked outside to tackle and showed he could play there too. He is a good athlete with solid strength already and competes hard. He has offers from Ohio State, Michigan, Indiana, Purdue, Michigan State, Wisconsin and more. Beech Grove, IN. 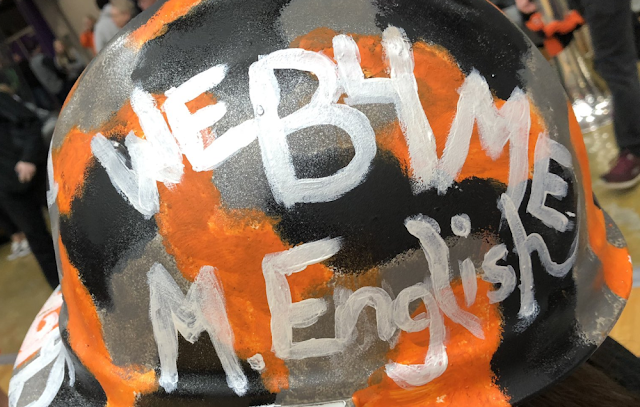 (March 31, 2019) IBG — Center Grove senior Ben Nicoson is the first recipient of the “We before me” award from the Matt English Foundation. The first award honors Nicoson for launching and raising $22,000 with the Hoops for Haskins drive for funds donated to the Rashawn Haskins family. Nicoson, left, is with Indianapolis mayor Joe Hogsett. Haskins was a senior Southport High school student-athlete who was killed late last year in a traffic accident in Greenwood. The award was presented at the 73rd annual Kiwanis Indiana high school basketball state finals awards luncheon presented by Pacers Sports & Entertainment on the Southside at Primo’s. 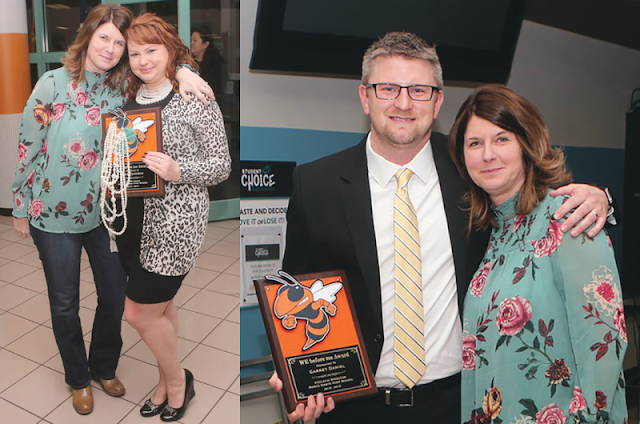 Two Beech Grove High School staff members Brie Fangman, BGHS teacher and cheerleader coach, and athletic director Garret Daniel, receive “We before me” awards from Angela English, widow of Matt English. The awards were presented during the annual winter sports award program. Fangman brought a BGHS chair and placed his trademarks, a hard hat and lunch pail, on the chair at each boys’ basketball road and home games. Nashville, TN. (March 29, 2019) IBG — On Feb. 27, the Vanderbilt community suffered the loss of Cell and Developmental Biology professor Steve Hann, who passed away following complications of pneumonia. Born in 1951 in Beech Grove, Indiana, Hann graduated from the University of California, Berkeley, in 1974 with a degree in biochemistry. He went on to earn his PhD in biochemistry from the University of California, Riverside, in 1981, followed by a postdoctoral fellowship at the Fred Hutchinson Cancer Research Center in Seattle, Washington. After joining the Vanderbilt faculty in 1986, Hann helped to develop the Cell and Developmental Biology program, and served in numerous capacities beyond his role as professor, most recently acting as Director of Graduate Studies for the department. Hann’s extensive research was fundamental in providing insight on the MYC oncogene, whose expression is believed to be a powerful factor in causing up to 70 percent of human cancers. His former colleague and close friend Professor of Cancer Research Bill Tansey praised his foresight, referencing Hann as one of the first people to recognize the importance of the MYC gene. Beyond his scientific contributions, Hann was also revered throughout the Vanderbilt community. In 2018, he was distinguished with membership in the Vanderbilt Academy for Excellence in Education, and throughout his 33 years on faculty, he played a pivotal role both in the realm of research and administratively, helping to design and expand curriculums. Chair of the Department of Cell and Developmental Biology Ian Macara credited him with improving the graduate program during his tenure as Director of Graduate Studies. According to Macara, Hann was also responsible for organizing the annual Christmas party, as well as the department retreat, a testament to his boundless generosity and dedication. Tansey also described Hann as a “sweetheart” and a “brilliant man,” and emphasized his inquisitiveness, as well as his generosity, an attribute that shone through every facet of both his research and personal relations. A memorial in honor of Hann is scheduled to be held in The Jean and Alexander Heard Library on Apr. 10. 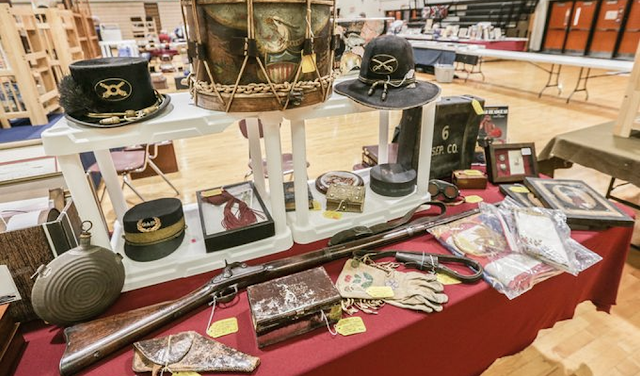 Beech Grove, IN (March 16, 2019) IBG — The ninth annual Civil War Show at Beech Grove High School is unique in many ways. With scores of vendors from 10 states and more than 130 tables of displays, the show serves as a fundraiser for the high school’s Renaissance program that encourages and honors students, a museum of rare all-original artifacts, an educational experience for history buffs and patrons and original Civil War items can be purchased. The show begins Friday, March 22, 4 p.m. to 6:30 p.m. and continues Saturday, March 23, 9 a.m. to 4 p.m. Admission is $3 per person and is good for each day, a bargain compared to $15 or more for similar shows throughout the Midwest and East Coast. All admissions, vendor fees and proceeds from concessions are donated to the high school’s student incentive fund (Renaissance) that rewards student improvement with special activities and items. So, as Warrner contends, funding for Renaissance fosters student improvement. As for the show itself, the artifacts on display are treasured and can be purchased from vendors. All original Civil War items range from from swords, Springfield muskets, cannonballs, documents, personal items like canteens, uniforms, medals, books and cards plus other collectibles. Prices range from $2 for bullets, $200 for canteens, $900 for muskets and other items are $10,000 or more. “Everything is authentic,” said Warrner of he Beech Grove show. ‘The community and out-of-state visitors enjoy the show. You don’t necessarily have to be a Civil War enthusiast. This is a good place to spend a few hours. I’m sure they will see something they have not seen before.” Experts also will be available to provide free appraisals of Civil War items. The show is at the school at 5339 Hornet Ave., east off the 3900 block of South Emerson Avenue. Concessions, some home-cooked items, are available for purchase. After Warrner retired as BGHS principal several years ago, he and his family traveled to numerous Civil War sites and battlefields and Civil War shows. ​They continually buy and sell items. 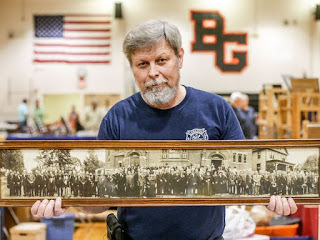 Warrner expressed pride in the show because it raises funds to reward deserving high school students which makes the Beech Grove Civil War Show unique throughout the nation. Daniels’ Daily Dose: What a Weekend! 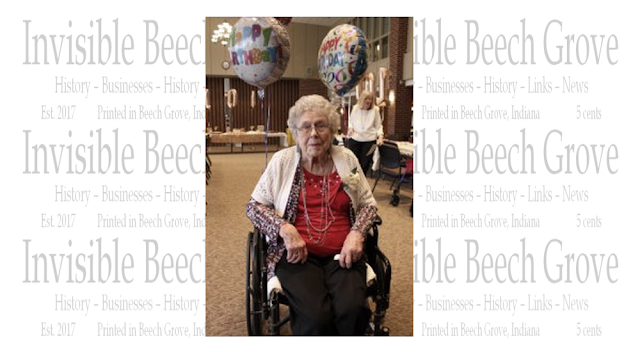 Beech Grove, IN (March 11, 2019) IBG — What a weekend for BGCS and the community of Beech Grove! From BG Jubilaires winning Grand Champions at Brownsburg on Friday night to our boys’ basketball team playing in the Regional Finals (final 8 teams in 3a) at Greencastle. Downtown, on a rainy and windy Saturday, our teachers joined other teachers across the state to fill up the statehouse for the ‘Red for Ed’ rally while at Lucas Oil Stadium our BGMS Robotics team competed in the state finals! I would like to speak on the boys’ basketball team and the amazing heart and toughness they showed this weekend while also thanking a long list of people who helped make a great day possible! The team won the first game of the day against the host school, Greencastle, which was BG’s first regional win since 1966. While our fans were probably outnumbered 5-1 in the stands, you would’ve never known because our BG cheer section was so LOUD! The night game brought even more of the BG community and we filled up the stands with black and orange to support our team. We lost in the regional championship game to Crispus Attucks but our team never quit! THANK YOU – Beech Grove staff and community for making the long drive to cheer on our basketball team. 1. Athletic/Coaching Staff – Thank you for all the planning and efforts that happened this week going into this weekend. Also, for giving up your weekend to prepare for the games, and make sure our players were taken care of this weekend! It’s been a very challenging season for many reasons but in the end, we couldn’t be more proud of the result and your dedication! 2. Bus Drivers – Often times overlooked, but thank you for safely transporting our students and coaches/teachers to and from their destinations. Also, sacrificing most of your weekend to do so! 3. Coach Fangman and Cheerleaders – Thank you for organizing the student fan bus, sharing your bus space, and leading our BG fans in cheer after cheer, louder and louder each time! 4. BG Pep Band – Thank you, Cory and Jon, for competing in a competition Saturday morning and then getting your Pep Band together for Saturday night to bring, as always, the best pep band music around! Only one more week until Spring Break! Make it a great one! 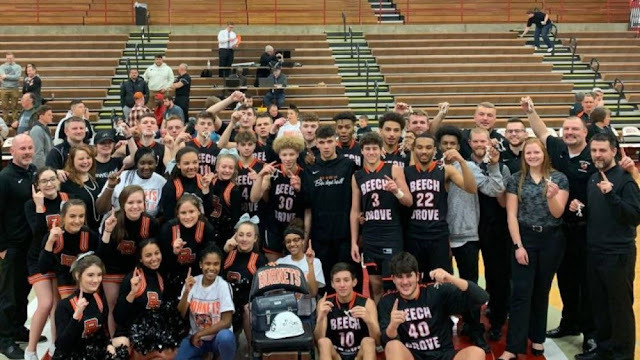 Beech Grove, IN (March 8, 2019) IBG — In a quiet gym after practice Wednesday, Beech Grove assistant Jason Hess sat in the first row of bleachers with tears streaming down his face. Five seconds passed. Ten. Fifteen. “Sorry,” Hess said, breaking the silence. “It’s just hard.” It has been a season of tears around Beech Grove basketball. Not only tears of sadness, though there have been plenty of those since coach Matt English succumbed to brain cancer Dec. 10. There have been tears of pride. Tears of happiness. Tears of togetherness. 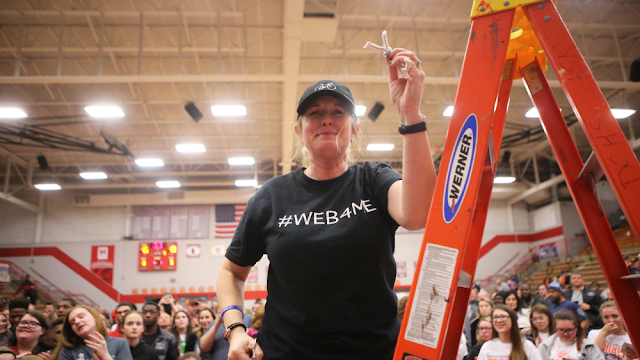 On March 2, the day of Beech Grove’s sectional championship game against Manual, English’s widow, Angela, texted Hess to ask if they could save her a piece of the sectional championship net. After Beech Grove’s 48-45 comeback win over Manual that night at Danville, the coaches and players cleared a path so she could climb the ladder and be the first to clip a piece of the net. Matt English never won a sectional during his 10-plus seasons at Beech Grove. But this one will go on his record. 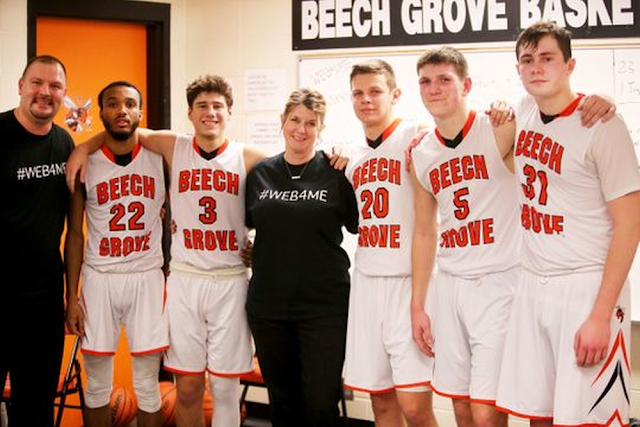 Beech Grove, coached by English’s former assistant, Mike Renfro, will attempt to take the next step Saturday in the Class 3A Greencastle Regional. The Hornets (17-7) will play host Greencastle (21-4) at 10 a.m. The winner will face Crispus Attucks (18-8) or Owen Valley (14-12) for the regional title at 8 p.m. “I could feel coach English in the gym at the end of the game,” senior guard John Parker said. “There’s nothing like it. It’s a great feeling knowing it’s not just us out there by ourselves and we have great support from our community. I think that’s how we pulled that one out against Manual.” While there is business at hand on Saturday, the week between games has offered a chance for a bit of reflection on the accomplishments of the team – on and off the court. Hess’ son, 6-2 senior Gavin Hess, is the team’s second-leading scorer and leading rebounder. If the balanced Hornets make it through the regional, Hess will likely play a key role. But whenever the book is closed on this Beech Grove season, it will not necessarily be the game details that Jason Hess remembers most. His own father, David Hess, is fighting a battle. David was diagnosed with inoperable lung cancer in September 2017. David, who graduated from Beech Grove in 1974, has been receiving radiation and chemotherapy for the past 15 months and was honored in February at the school’s annual Coaches vs. Cancer event put on by Matt and Angela. “My father talks about Matt all the time as an inspiration for him,” Jason said. “He never thought the disease was crippling to Matt. My father is a tough guy. He doesn’t talk about it a lot. But throughout his journey, he took a lot from Matt.” Gavin took a lot from English, too. That is the part that brings the tears to Jason’s eyes. Gavin was a quiet kid when he came in as a freshman – and still is. But there was a connection that English made with Gavin that Jason can still see come through in his son. “Matt is a like a dad to a lot of these kids,” Jason said. “And he always made it very obvious that he believed in my son, which meant the world to me. When you see your son crying for another person, that’s hard to watch. I always knew how much he cared for him, but Matt did so much for these kids.” Angela presented gifts to the senior players on senior night. 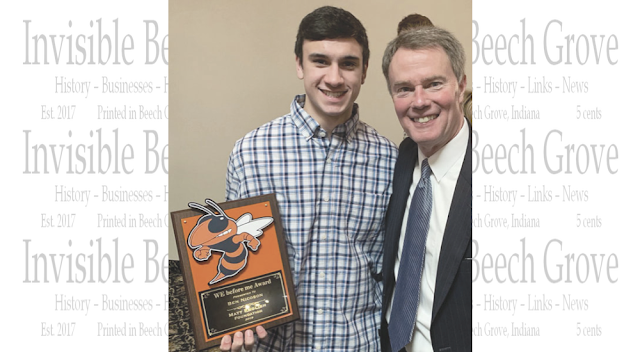 Beech Grove, IN (March 3, 2019) IBG — The Beech Grove Hornets have dedicated their season to their beloved coach Matt English who died in December after a 7-year battle with brain cancer. His team has won the last eight games and capped off this part of their season Saturday night by bringing home their first sectional championship since 2008 with a 48-45 win over Manual High School. It was a celebration of its own, but the victory was even sweeter for the boys knowing it was in honor of their favorite coach. Watch the story in the video player above. Earlier this year, Beech Grove honored Coach English by renaming the gymnasium "Matt English Court." English had been with Beech Grove schools for 10 years. Beech Grove will play Greencastle in regionals at 10 a.m. on Saturday, March 9. Beech Grove, IN (February 28, 2019) IBG — One hundred years ago, on February. 23, 1919, Viola Arnold was born. It was a different age. The president was Woodrow Wilson. Congress had just passed an act to establish the Grand Canyon National Park in Arizona. Women could now vote. A gallon of gas was $0.25 a gallon and a dozen eggs were $0.55. Future baseball player, Jackie Robinson was born, as was Nat King Cole. A “dingbat” was a stupid person, the Adventures of Ruth played in the movie theaters and the names Mary, Helen and Dorothy were just a few of the popular baby names for the time. Remembering a close-knit community Back in the day, Franklin Township and Wanamaker was a close-knit community. Family members remained close. Everyone knew everybody. There were no strangers. “My maiden name was Rode. My great-grandparents emigrated from Germany. They had a business downtown … a livery stable where they boarded horses,” Viola recollected. “They bought this piece of ground out in Franklin Township and built a log cabin (where the present-day Hanna Haunted Acres sits). This farm finally came down to my mother and father. That’s where we lived.” In time, her father passed and her mother had a stroke. Her four brothers and one sister took care of their mother at the farm until her last days. Viola was no longer a child, having worked at a couple of insurance agencies until landing a job at a factory on the Southside that produced tubes for jet engines — Tube Processing Corp.
Viola and her brothers moved into homes close, along Hanna Street. Her sister moved to Edgewood Avenue. Time marched on. Viola has lived in Altenheim since January 2017. 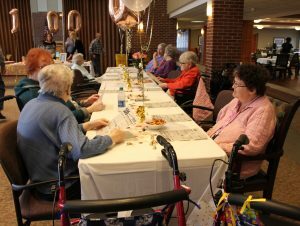 Prior to that, she resided at other assisted living facilities, finally deciding she needed more long-term help, resulting in the move to Altenheim. Her son, John Arnold, reflected upon his parent’s history. “My parents grew up in church together. They had a few dates before World War II and then dad went to war. After he came back, they got married around 1947.” John smiled as his eyes looked back on precious memories. “I was going through mom’s stuff and found old letters between them written back and forth during the war.” Those are certainly keepers! 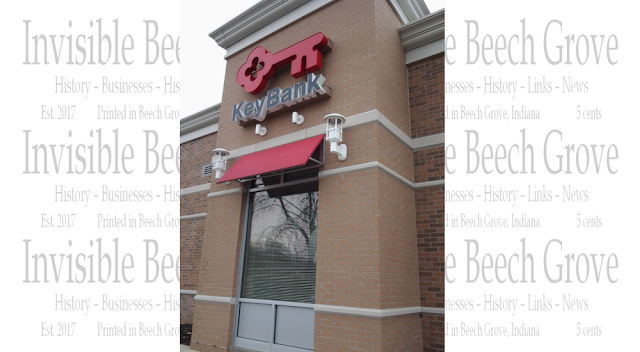 Beech Grove, IN (February 27, 2019) IBG —Cleveland-based KeyCorp has announced plans to close 16 KeyBank branches throughout central Indiana. The bank says the consolidation is part of an effort to bring a new digital banking experience to the region. The affected branches will close on May 31 and KeyBank says they were carefully chosen so clients will still have a convenient location available. Every employee affected by the consolidation will have a job opportunity at a new location, according to the bank. KeyBank says it is also expanding its ATM presence in central Indiana, with more than 50 new ATMs being installed over the next several months. The bank is also adding the number of bankers within the market to more than 90 full-time employees. Linwood branch 4404 E. 10th St.
Broad Ripple branch 6410 N. College Ave.
Clearwater branch 4729 E. 82nd St.
Beech Grove branch 4645 S. Emerson Ave. Pleasant View branch 12591 Southeastern Ave.
Greenwood branch 980 E. Main St.
Edgewood branch 3228 Nichol Ave.
Northgate branch 2246 Broadway St.
West Jefferson branch 2405 W. Jefferson St.
Beech Grove, IN (February 27, 2019) IBG — The Beech Grove facility had been transferred to the control of the New York Central Lines and at one time operated over 2,000 miles of track in the eastern half of the country, providing both freight and passenger service from the East Coast all the way to the Mississippi River. During this time, the railroads were about the only travel method of choice for any long trip. The massive complex in full swing after the recent addition of a new passenger paint and trim shop. Various railroad companies aggressively competed for passenger business by introducing express routes between several major cities and offering more comfortable travel with club and dining cars and sleeping accommodations. 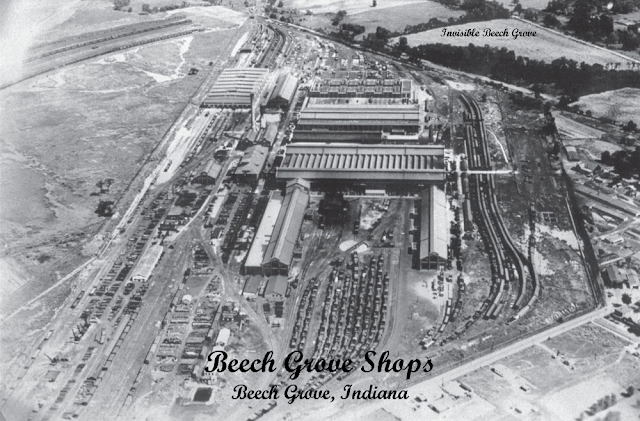 The many staging tracks at the Beech Grove Shops are filled with cars awaiting either maintenance or some upgrading. The Beech Grove Shops earned a reputation for first-class innovation and workmanship, providing passengers on the New York Central Lines the most modern amenities. 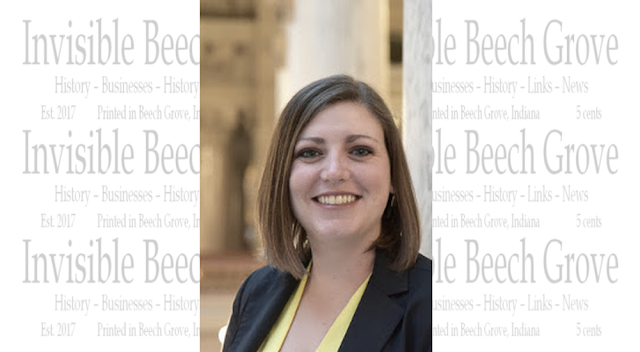 Beech Grove, IN (February 25, 2019) IBG — Today, the Indiana State Department of Agriculture announced the hiring of Kimberly Barkman as Agricultural Education Program Manager. Barkman will serve as a liaison between ISDA and the Indiana Department of Education, and schools with an agriculture program. Barkman grew up on a tobacco farm in Switzerland County. She participated in 4-H and served as the 2003 District 12 FFA President. In 2007, she graduated from Purdue University with a bachelor’s degree in Agricultural Education. Prior to joining the department, Barkman was an agricultural education teacher at Triton Central for two years and then taught at Beech Grove City Schools for six years. “ISDA historically has been connected to agricultural education and leadership development,” said Rob Hays, Indiana FFA Director. “By creating this new position and bringing Kim on board, we are excited to strengthen our support of classroom teachers and agriculture offerings, along with supporting FFA efforts.” In her new role, Barkman will be responsible for supporting course framework and agriculture-based Career and Technology Education curriculum in schools across the state. She will also interpret education policies and review state standards as it relates to agriculture. A large part of her job will be serving as a resource and liaison for Indiana’s agricultural education teachers to strengthen their programming. “I’m excited to be a voice and advocate for agricultural education in Indiana,” Barkman said. “I look forward to having a larger impact by supporting school districts and teachers across the state.” Barkman currently resides in Indianapolis with her husband, Nicholas. Beech Grove, IN (February 21, 2019) IBG — A Beech Grove High School documentary about late Athletic Coach Matt English is a national finalist for Varsity Brands School Spirit Award in the Coach Category. Matt English, 45, died on December 10, 2018 after a six-year battle with brain cancer. 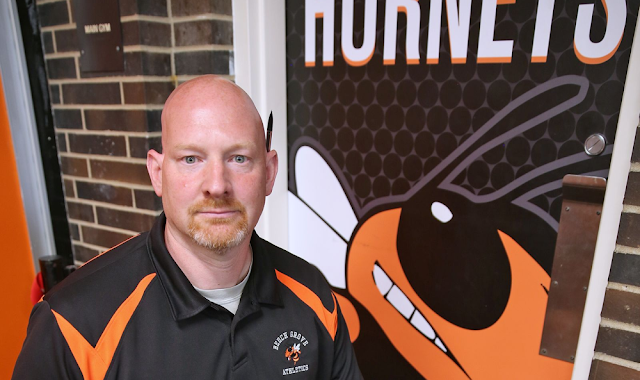 “I’m so proud to announce that our Beech Grove Student News story of Coach English has been awarded as a national finalist for Varsity Brands School Spirit Award in the Coach Category,” said Nick White, who teaches student media, journalism, broadcasting & public speaker of BGHS. 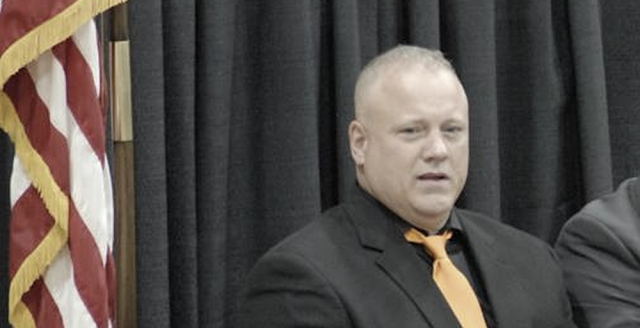 “Coach English was and continues to be very important to the Beech Grove High School community." Varsity Brands is awarding $100,000 across 25 categories, including $3,000 to each winner and a $25,000 grand prize for America’s most spirited high school. 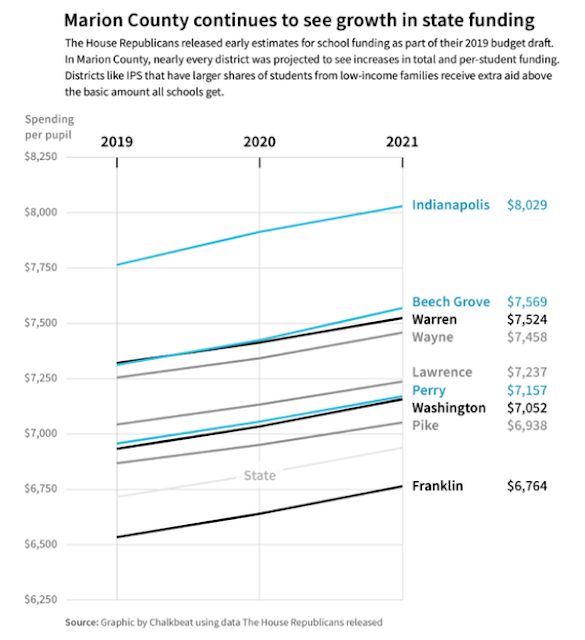 Beech Grove, IN (February 20, 2019) IBG — Every district in Indianapolis is tentatively slated to get more state dollars per student under House Republicans’ 2019 budget plan released this week — exceeding some school leaders’ expectations. For the most part, new money added to the budget to fund each student along with higher enrollment estimates are driving the increases. But even though some districts are projected to lose students, they would still get more money because of changes to Indiana’s funding formula that add money for vulnerable students and because lawmakers put more money in the budget overall. 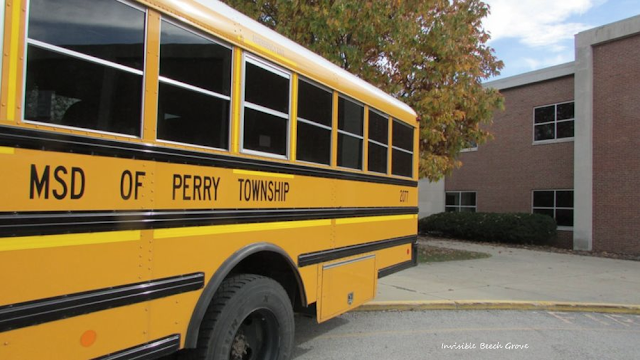 “I just didn’t think they’d be able to reach that level when they started the session,” said Patrick Mapes, superintendent in Perry Township. “It’s very much appreciated.” In Indianapolis Public Schools, the city’s largest school district, per-student funding is expected to go up more than 3 percent to $8,029 from $7,764. Overall, the district would see about 4 percent more in total state dollars. Compared to other districts, IPS receives more per student in part because of the number of students there from low-income families. Having more English-learners and students with disabilities can also bring in additional funding per-student. “There are still too many moving pieces in other parts of the comprehensive budget proposal to get a clear picture of what this will ultimately mean for our students and employees,” an IPS spokeswoman said in an emailed statement. The estimates are far from final, as the Senate will still offer its own budget draft and lawmakers will eventually have to come to a compromise. But the House draft, which easily passed out of the Ways and Means Committee on Monday, will likely see support from the full House in the coming week. This year, district funding estimates could be even more volatile because of problems with a calculation that drives extra aid to districts with larger shares of students from low-income families. It’s unclear how this might affect schools because the calculations were not changed from last year. “We used the numbers that we felt gave schools the most realistic proposal,” said House Ways & Means Chairman Todd Huston. He said that he was not sure when more accurate projections would be available, but House Republican staff was working with other state agencies to dig into the problem. The budget draft proposes increasing Indiana’s contributions to schools by $461 million — or 4.3 percent — through 2021, a little more than increases in years past. The basic per-student funding that all districts get would jump from $5,352 per student this year to $5,442 per student in 2020, and $5,549 per student in 2021. House lawmakers also made some big overall changes to how schools are funded that do more to support some of the state’s most vulnerable students. Funding for preschool for students with disabilities increased for the first time in more than 25 years, going from $2,750 per student currently, to $2,875 per student in 2020, and $3,000 per student by 2021. In 2018, about 13,000 students qualified for the program, costing the state about $36 million. The increased grant would up those totals to about $37.3 million in 2020 and $39 million in 2021. The budget draft would also send more money to educate students learning English as a new language for the fourth year in a row. Last year, lawmakers set aside about $32 million. Over the next two years, there’d be more than $40 million available for grants, at $325 per student, up from $300 previously. Higher per-student grants for English learners would help the district shift more money to teachers and other employees, said Mapes, the Perry Township superintendent. Raising teacher salaries has been a hot topic during this year’s legislative session, and while money is not specifically earmarked for raises in the House budget plan, Mapes said it doesn’t need to be. “That’s local control,” Mapes said. “We have an elected school board whose job is to make that decision for each school corporation in the state. It’s not the job of the legislature to direct down a salary schedule.” In Beech Grove, the funding forecast is slightly less optimistic — the district is the only in the county projected to lose funding overall through 2021, by a small margin of less than 1 percent. Kaiser noted that the district does have a high rate of students transferring in from outside the district — Beech Grove had the second highest rate of students transferring into the district last year, with almost 1,200 students coming in. Like the rest of the county, Beech Grove is expected to get more dollars per student, so if transfers work out like Kaiser expects, the additional money would turn things around. He said he isn’t sure why enrollment was down last year. “We’re hoping last year’s drop in enrollment was a blip on the horizon,” Kaiser said. “And if it’s not, then we’ll have to decide what we want to do.” Part of Kaiser’s strategy is going to district voters in the fall to ask them to approve a tax increase — a move many school districts across the state, including IPS, are increasingly making to bring in more revenue. One group that would see reductions under the House plan were virtual schools and virtual programs operated by school districts — they were cut from 100 percent of what students in traditional schools get to 90 percent, equivalent with students at virtual charter schools. Lawmakers made the change in response to a rapidly growing virtual school in the Union school district, near Modoc, helped throw off school funding estimates in 2017. Even with the funding cut, budget projections show Union still would receive more state money, driven largely by growing enrollment. House Republican staff did not confirm whether the change in all district-based virtual school funding resulted in cost-savings for the state. 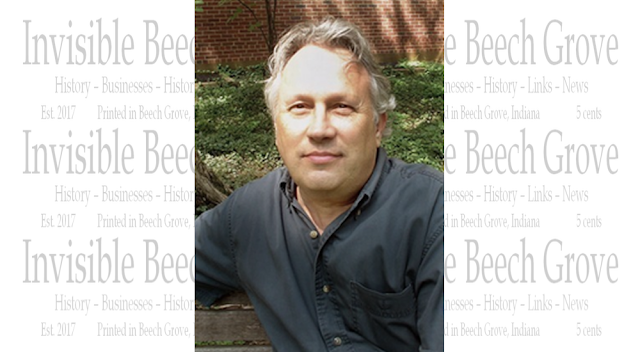 Beech Grove, IN (February 14, 2019) IBG — Rick Skirvin has announced that he will run for Beech Grove Mayor. Skirvin, a Republican, will be running against current Mayor Dennis Buckley, who is seeking a third term in the primary election May 7th. "I feel as a community we can do better; we have undeveloped properties, empty storefronts, a lack of parking on Main Street and an administration that lacks experience in business". Skirvin said. "I want to bring transparency and fairness to the citizens and re-establish Main Street as a destination". Skirvin owns several small businesses, including one in Beech Grove. He has served on the Beech Grove School Board and the Beech Grove Parks Department. In addition, he is a Board member of the Beech Grove Moose Lodge #1883. He also volunteers annually with the Appalachian Service Project, a faith based organization that assists families and attempts to eradicate substandard housing in Central Apalachicola. "My family also volunteers at Homeless and ReEntry Helpers downtown feeding the homes. In my spare time I also minister the sacrament of marriage to Beech Grove residents free of charge". A lifetime resident of Beech Grove, Skirvin graduated from beech Grove High in 1987 and attended IUPUI for Criminal Justice. He has four kids who all attend Beech Grove City Schools: Alex Holsclaw, Aeriel Skirvin, Nick Ward and Ricky Skirvin. As the father of fourth-generation “Grovers” and a 1987 graduate of BGHS, I, Rick Skirvin, want to see Beech Grove grow to the next level. That’s why I’m announcing that I’m running on the Republican ticket for Beech Grove Mayor. While advances have been made in the past eight years, part of my vision is to work with business owners to help further develop visibility for Main Street. I want to make new businesses feel welcome. Main Street is the jewel of Beech Grove. I look to attract more anchors, address parking issues, help businesses cut through red tape, and deal with other challenges they face today, as well as focus on transparency. Plus, details matter. I envision that when residents from Indianapolis and surrounding areas come to Beech Grove, they’ll immediately know they’re in our City, because of our enhanced identity, such as our streets being ploughed, our fire and police vehicles, special signage, and more. I want our City to maintain its autonomy with the services the City provides. We’re our own City. 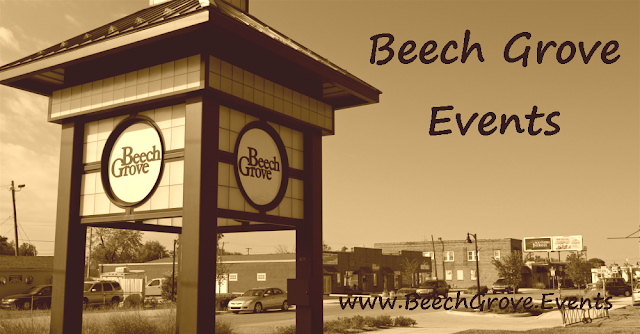 We Are Beech Grove, which means it’s important that we maintain our own sewers and not lose additional utilities and services that we have to date. Open and honest communication and running a positive campaign are also keystones to my campaign. In talking with residents in my leadership roles as a 13-year school board member and former president, a current business owner, a 13-year Parks board member and former president, a former Reserve Sheriff’s Deputy, and a trustee of the Beech Grove Moose Lodge, I know people want every avenue of communication available to them. That’s why I look to develop a Beech Grove City Facebook page, just like the one I set up for the Parks Board. Residents love it. It’s updated regularly, so residents can easily access the latest information on what’s happening with our Parks. With 45% of our community consisting of rentals, I want to help be the voice and provide a package of services to realtors, homeowners, and tenants that entices buyers to invest in our City, become stakeholders and realize the value we offer. And, instead of issuing citations, I want a committee to knock on doors and talk to residents to find out what help they need to keep their properties up and provide the resources to make that happen. Again, it’s another example of open, honest communication. Beech Grove, IN (February 8, 2019) IBG — Supporters of the Hoosier State train are fighting for continued public funding of the Indianapolis-to-Chicago rail service—even as they acknowledge that the route’s travel times and ridership levels are both in need of improvement. For the past two years, Indiana has contributed $3 million annually to support Amtrak’s Hoosier State service, which runs between the cities four days a week. But that financing ends June 30, and Gov. Eric Holcomb did not include Hoosier State funding in his proposed budget for the two years beginning July 1. The governor’s spending plan isn’t binding—House lawmakers will introduce their own version of the budget in weeks to come—so supporters of the Hoosier State line aren’t panicking yet. But they are working to advance their views. Tod Bassler of Indianapolis, a board member of the not-for-profit Indiana Passenger Rail Alliance, said the route is an important part of Indiana’s transportation infrastructure, serving business people to college students. In addition to state funding, the Hoosier State also receives a combined $500,000 annually from five local communities along the route: Crawfordsville, Lafayette, West Lafayette, Tippecanoe County and Rensselaer. The Hoosier State line has a bit of a rocky history. Iowa Pacific Holdings, which operated the service beginning in 2015, pulled out two years later after the state denied the railroad’s request for additional funding. Amtrak, which had run the service when it was federally supported, came back to run it again. Until Hoosier State funding became a line item in the current state budget, state funding came from a variety of sources, including a 2015 tax amnesty program that supported the service for the 2015-2017 budget cycle. During Amtrak’s 2014 fiscal year, which began in October 2013, the Hoosier State carried 33,930 passengers. That number dropped to 27,876 in the 2018 fiscal year, which ended Sept. 30. Ridership was up 4.3 percent during the first three months of the current fiscal year. Low ridership numbers mean government support subsidizes about 75 percent of the cost of each Hoosier State ticket sold, said Indiana Department of Transportation spokesman Scott Manning. Put another way: For every ticket sold, Amtrak receives $32.85 from passengers (including train fare and on-train food and beverage sales) and $100.89 in state and local funding. The state’s contract with Amtrak doesn’t specify ridership targets, Manning said, but INDOT entered into the contract looking for growth. For their part, Amtrak officials said there’s only so much they can do to boost ridership. The Hoosier State takes nearly five hours to travel from Indianapolis to Chicago, two hours longer than it takes to drive between the two cities’ train stations. But Amtrak doesn’t own the rails between here and Chicago; it pays freight-rail companies for the right to run on their tracks. So even though Amtrak wants improvements on the Hoosier State, it doesn’t control the infrastructure. For most of its 196-mile route, the Hoosier State runs on CSX-owned tracks. In February 2018, Patrick Engineering did a study for INDOT that analyzed the capacity for passenger and freight traffic along the Hoosier State line. That study looked at the infrastructure improvements that would need to be completed to preserve freight rail capacity if the Hoosier State line were to increase to two round trips daily. One of the assumptions of the study was that INDOT and other financial supporters would pay for upgrades to existing CSX tracks, allowing the Hoosier State to achieve operating speeds of up to 79 miles per hour. But so far those plans have not advanced. And INDOT has not included any Hoosier State capital improvements in its state budget request, Manning said. Nor is CSX eyeing big outlays on its end. “At this time, other than routine maintenance, there are no plans for larger-scale infrastructure improvements along this area of track,” a CSX spokesperson told IBJ. “I think probably the most viable option, should there be long-term investments, is a federal grant,” Manning said. Federal grants typically require a local match that could be shared by INDOT, Amtrak and CSX, Manning said. If public funding for the Hoosier State were to evaporate, Indiana would still have a rail connection to Chicago. Amtrak’s Cardinal line, which links Chicago with New York City, departs Indianapolis for Chicago on Mondays, Thursdays and Saturdays. Still, Hoosier State supporters say Indiana can’t afford to lose what they see as a vital link in the state’s transportation infrastructure. 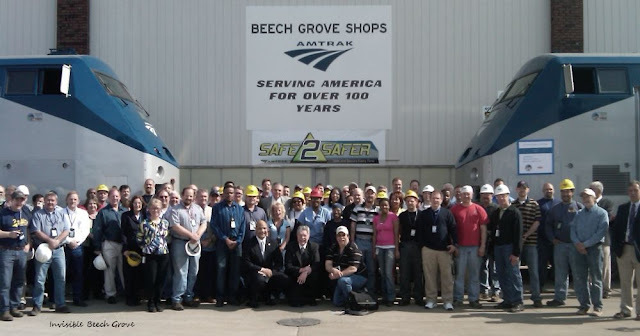 A reduced frequency between Indianapolis and Chicago would also hurt operations at Amtrak’s Beech Grove heavy maintenance facility, which employs about 500 people. The facility is one of three such operations in Amtrak’s system, and it does work for Amtrak and other rail companies. If service drops to three days a week, Magliari said, the Beech Grove facility would lose flexibility to ship equipment back and forth on the line. Investing in passenger train service is also beneficial for other reasons, Bassler said, especially as surrounding states improve their own service. “Illinois, Wisconsin and Michigan are doing great with their passenger rail services. Indiana, we’re on the fence—but we could go either way,” he said. Rail service is especially important to international students at Purdue University, who fly into Chicago and need a way to get to campus, Bassler said. Purdue was unable to provide someone to talk about the Hoosier State by IBJ’s print deadline. But a 2017 study from the school’s Joint Transportation Research Program suggests the Hoosier State’s importance to the school. That study, which was based on passenger surveys, showed that 35 percent of Hoosier State passengers in 2016 were 18 to 24 years old. And about a third of passengers identified themselves as students. Among passengers who started their train trip in Chicago, 40 percent were bound for Lafayette. Another 45 percent traveled all the way to Indianapolis, and the remaining 15 percent exited at either Dyer, Rensselaer or Crawfordsville. Bassler said when he rides the Hoosier State, he sees a mix of students, business and leisure travelers, along with Amish passengers. Sen. Michael Crider, R-Greenfield, who chairs the Senate Homeland Security and Transportation Committee, said he was unaware that the governor’s proposed budget does not include Hoosier State funding. Likewise, Crider said he hasn’t heard of any Amtrak or rail-service bills making their way through the Senate. 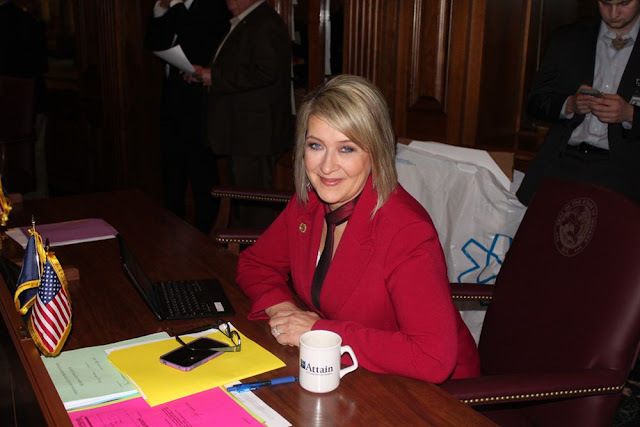 Indianapolis, IN (February 4, 2019) IBG — Indiana State Representative Cindy Kirchhofer is pushing legislation to protect at-risk mothers and infants. “Indiana has one of the highest infant mortality populations,” said Kirchhofer. “We are committed as a state to reducing those numbers.” Kirchhofer's House Bill 1007 has two components to tackle the alarming infant mortality rates in Indiana. First is attacking substance abuse disorder and connecting women with treatment programs. She said that mothers who consume drugs or alcohol during pregnancy significantly increase the risk of complications. The second piece of the bill focuses on creating a clear OB navigation system to connect expecting mothers with the resources they need to have healthy pregnancies. “This is bill is working to pair Hoosier mothers with much-needed treatment and services so more babies are born healthy and live to see their first birthday,” said Kirchhofer. HB 1007 passed unanimously in the House and is now being considered in the Senate. Chair of the House Public Health Committee, State Rep. Cindy Kirchhofer explains her legislation focused on helping expectant mothers and babies, and fighting the opioid epidemic in Indiana. 2017-2019 Invisible Beech Grove© | All Rights Reserved and will be strictly enforced. Simple theme. Powered by Blogger.